In the game of baseball, when players offensively reach 2B they are considered to be in scoring position; one hit away perhaps from crossing the plate and giving their team a tally on the scoreboard. Ways to get to this position of power are numerous. Yet many times once the base runner gets to the keystone sack the initiative to advance can look more like the Keystone Cops. Thus, taking a more assertive approach to help the runner and most importantly help the team could enhance both opportunities and performances. Base runners need to consider both their leads and their breaks when operating at 2B. They need to have some established criteria to drive their operations in order to make execution a set of responses, as opposed to waiting and guessing. While the following are not to be considered hard, fast rules that would work for every player or fit into all offensive philosophies, they are in line with the idea that players should be active once they reach 2B. The purpose is to put pressure the defense and have the base runner in a position to advance/score. The distance may vary depending on the skill of the base runner, an initial lead of 6 steps off the bag before squaring up creates advantages. Create a threat to the defense that must be addressed by the middle infield and pitcher. The defensive response to an aggressive lead creates more space in the infield for a batted ball. Additionally, the stress on the pitcher is enhanced. The runner’s responsibilities are to keep eyes on the ball (the pitcher). That is main threat. The third base coach is responsible for alerting the runner as to the middle infield positioning. The use of simple terms work best. CLEAR – no one is holding. Extend. CAREFUL – a defender is holding. Contract. BACK – the defense is running a pick. Return and get down. During the primary lead phase, the runner may take a step to extend each time the pitcher looks at the plate and contracts a half step when he looks back. This gives the image to the pitcher that he is holding the runner while in fact the runner is gaining ground to 3B. The purpose of the secondary at 2B is no different than at the other bases – to extend the lead on the pitch be in a position to respond to the resulting events. Make sure the pitcher has gone forwar to the plate. Travel a distance and in a manner that creates an opportunity to advance safely but not recklessly. Anticipate the result of the pitch based on its location (down, away, inside, etc.). Over extend the secondary so to not be able to beat a throw back to the bag from a covering infielder. Get hung up on the inside move – start the move late & take one bound instead of two. Finish the secondary facing away from the bag; stay squared. Keep the head up and eyes on the ball. The ball is the only thing that can put out the base runner. Know the location of the middle infielders positioning prior to the lead. That’s often where they want to return on the pitch. Must move on a force play. With a runner at 3B, know what his read is so to act in a corresponding manner. Generally, balls to the runners right are a hold until through, while anything to left is an immediate go. Show or execute a tag on balls from center to right field. If the ball is shallow or the runner is limited, decoying a tag forces the defense to execute. May consider same if ball is very deep from center to left-field and the outfielder is in position. Balls that are in left to center-field are going to be half to half-of-half depending on depth, arm strength and runner speed. Avoid the “freeze” on head high line drives and instead attempt to “read” the destination of the ball in relation to the position of the fielders. Balls right at the runner require knowledge of the shortstop’s positioning. With the SS the runner’s right he can read anything at him to his immediate left as a go. Land in an athletic position on the secondary, and advance on a ball in the dirt that is moving away from the catcher with speed to outside the plate circle; particularly on the 1B side. 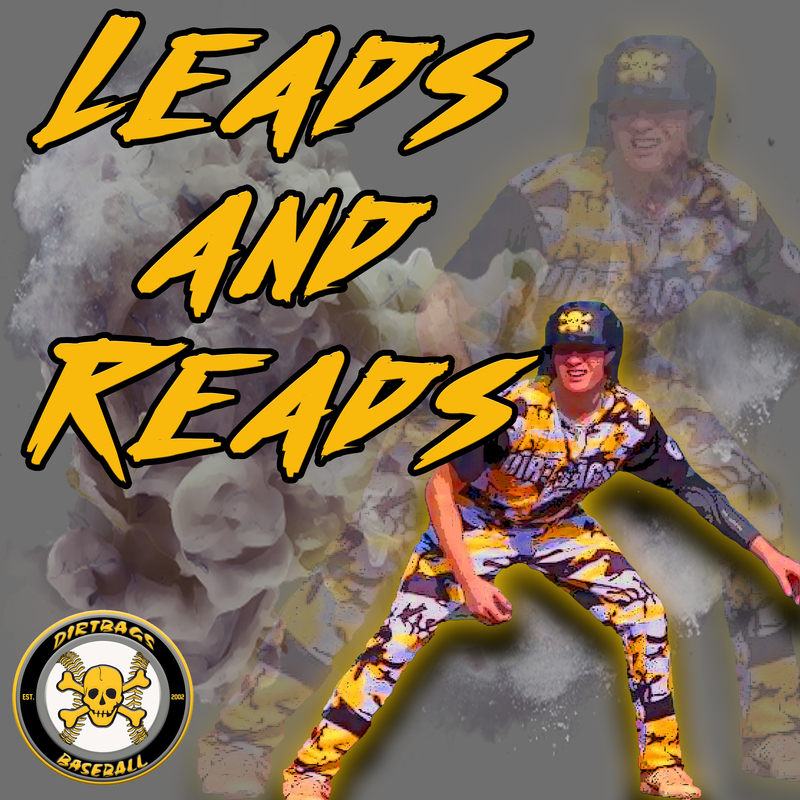 Know the rules or expectations of the team’s reads at 2B. Be aware of the defense’s positioning trends and capabilities. Requires attention to pitcher tendencies and timing. Understand that just because the pitcher looks at the runner at 2B doesn’t mean he sees him or recognizes his positioning. Straight steal break at 2B often similar to a take-off at 1B. Runner makes a crossover move to get the left side turned and directional to 3B. Runners may be able to walk into a steal break at 2B. If the pitcher and middle infielders don’t stop his move to 3B on the primary walk out, or if he can gain ground as the pitcher comes set the swiping of the bag is as easy as the acceleration of the movement. See the bat strike the ball and anticipate the up/down or direction based on pitch location and bat angle. Apply the predetermined reads in executing a return or advance move. Lazy starts to a break may disadvantage the base runner to execute the read/break and ultimately arrive at the preferred destination safely. Runners need to access 3B with a angle conducive to the intent of access to that bag: to stay or continue home. In attempts to score, runners want to come in on an angle to make a straight path to home. Accessing 3B on the inside and not pushing too far into foul ground is best. Don’t waste opportunities once at 2B. While a player is in position to score, they also hold a responsibility to aid in their advancement.